Creative Recycling Centre are proud to now offer a large range of recycled music stations for hire. 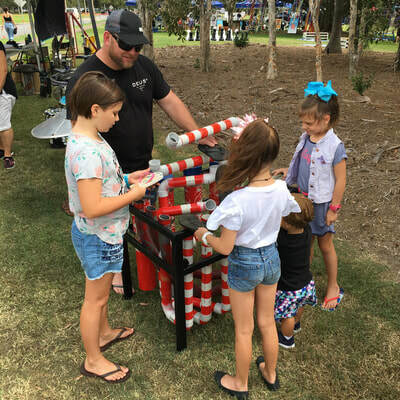 These amazing instruments have been designed and constructed by local artists and are a great addition to any event. 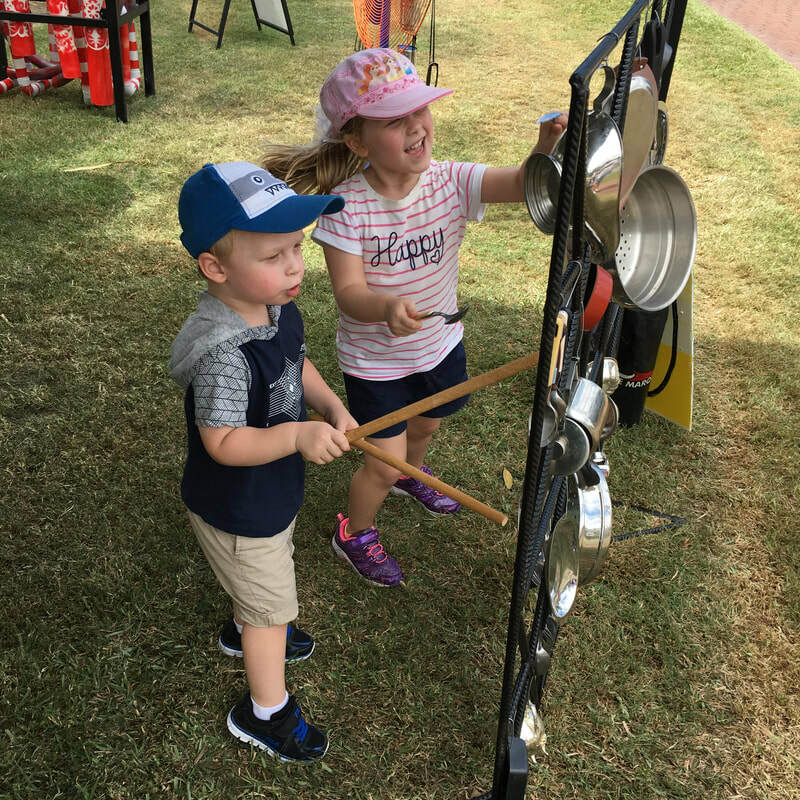 The great benefit of this range is that they can be played and explored by a wide range of ages from toddlers to adults. No musical background is necessary just have fun, express yourself. All transport to and from event. 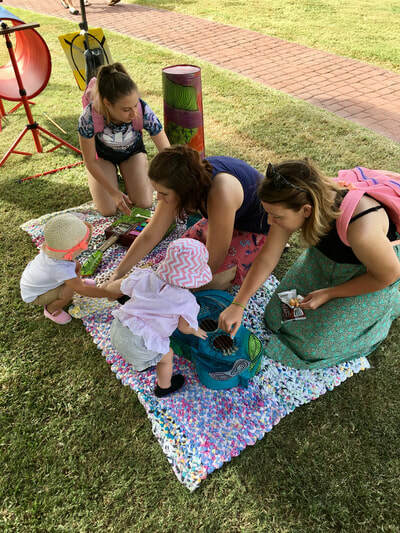 ​This group of colourful and interesting recycled instruments are great for any age to explore especially the little ones. 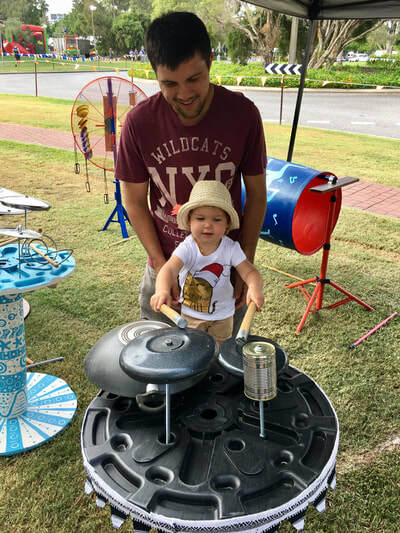 This group of instruments are set up on a mat so that you can take the time to sit,engage and have fun with each of these easy to play instruments. This interesting instrument looks like it has just landed from outer space. It has a unique metal sound and the kids just love it. This unique recycled instrument stand is perfect for all ages as it can be played sitting (for the young ones ) or standing. It has a gentler and softer sound. Warning this instrument may inspire you to want to go home a drag out your unwanted kitchen items and make your own music! You can never have enough drums and these amazing kitchen drums are a must have at any event. Explore a wide range of fun sounds with this one. This quirky instrument Stand is large enough that the whole family can play at the same time. With so many different elements and recycled items to explore you'll want to stay and play this one for hours. This great recycled music station is suitable for most ages and multiple players. Explore unique sounds by simply using a thong to hit over the ends of the pipes. Have fun with this groovy group of drums. Create your own unique tribal music. This unique instrument will wow the crowds with the large variety of sound effects it has to offer.